Our uPVC Liniar windows combine stunning aesthetics with high quality security features. Our windows can be fabricated to meet any style to suit your needs. 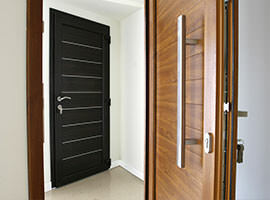 We offer a huge range of quality door styles to match your property. Our uPVC Liniar doors come with advanced locking mechanisms as standard to ensure a high level of security. Not only do our stunning conservatories offer enhanced space but thanks to our energy efficient options, you can enjoy a versatile space throughout the year. Get instant double glazing prices online using our clever quoting engine. Browse through hundreds of double glazing styles and get a unique cost tailored to your specifications. Our quote builder will present you with an instant online cost for your windows, doors or conservatory. Windows Xpress is your local double glazing company in Polegate and Eastbourne. We supply and install our products throughout the South East of England and have something for every home. We offer free online double glazing quotes to our customers, as well as a wealth of windows, doors and conservatory styles. 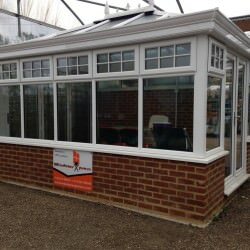 Additionally, we can also improve your extension or conservatory with replacement tiled conservatory roofs and roof lanterns. You can visit us at 39 Farmlands Way, Polegate, East Sussex, BN26 5LR. Alternatively, please call us on 01323488729. We will happily help you decide on your new home improvements, as well as letting you know all about our products and advising you on the best option. To find out why we are the chosen local double glazing company in East Sussex, read our highlights below and browse our fantastic range of uPVC and aluminium products. Based in Polegate, Windows Xpress have the right solutions for those looking for quality uPVC replacement double glazing in Eastbourne, Hailsham, Seaford, Shoreham-by-Sea, Worthing, Brighton and across East Sussex. With over 20 years experience in the industry, we have the knowledge and expertise to handle both the design and installation of your home improvement. We provide a complete service from conservatory installations to the replacement of soffits and fascias. Windows Xpress is part of the Double Glazing Network which specialises in the installation of Liniar’s superior double glazing products. 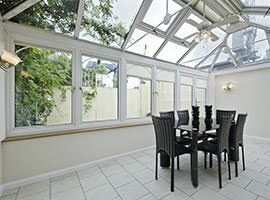 Our local Polegate double glazing company in East Sussex only provides the best double glazing. We pride ourselves on offering our customers Liniar’s revolutionary multi-chambered range of energy efficient double glazing. 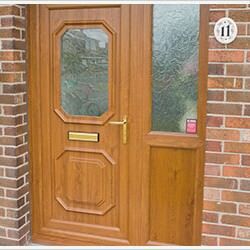 Our East Sussex customers receive the most energy efficient windows and doors on the market. Our fully accredited double glazing company in Polegate offers nothing but superb service and products. As a trusted member of the Double Glazing Network we provide you with the best double glazing in Polegate. Enhance your East Sussex home with the most technically advanced uPVC window system in the UK. Liniar’s ground-breaking multi-chambered profile has been designed to meet modern requirements and to provide innovative solutions for long standing product compromises. All our uPVC windows and doors are manufactured right here in Britain. Our uPVC double glazing is made in an advanced purpose built facility which is ones of the largest uPVC extrusion mixing plant in all of Europe. Our Liniar profiles come with a 10 year manufacturer’s guarantee against cracking, warping or discolouration from the date of installation. Rest assured, our Liniar products are fully covered and built to last. Save energy and save money with our energy efficient double glazing in Polegate, East Sussex. Our thermally efficient windows and doors have a dual functionality that allows you to gain free energy from the greatest resource of all – the sun. Our windows are capable of achieving an A+12 energy rating. This means your double glazing will retain energy better than a standard window. Compared to C rated windows, our A rated windows allow you to save valuable energy. Highly energy efficient, our windows feature multi-chambered technology for a more thermally effective profile. Our windows and doors are capable of achieving the highest of energy ratings. Tight weatherseals prevent cold and rain from entering your property while the thermally efficient glass keeps your property safe and warm. A transparent metallic coating reflects heat back inside your property, helping to retain warmth. Better for the environment, our uPVC windows are 100% lead free. The dangers of lead are well known and Windows Xpress are extremely proud to supply one of the few window systems to offer an entirely lead free range. Extremely robust, our uPVC windows do not need any steel reinforcement. This makes them completely recyclable therefore they are truly an environmentally friendly product. Our eco-friendy uPVC windows work to reduce your carbon emissions by reducing the amount of energy you use. Our windows will keep your home warm, reducing your need to rely on central heating. Security is our upmost priority. Our high security locking mechanisms ensure your home is kept safe and secure. 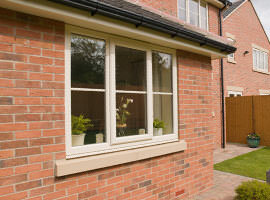 All our Liniar windows are available with optional Yale shootbolt high security systems. All components are designed and manufactured to the highest standards and tested to the latest BSI security criteria. Our double glazing is Secured By Design accredited, a police preferred specification. This is the highest possible level of protection against forced entry. Windows Xpress is also registered with Checkatrade, a free charitable run service that gives you the background information you need to make a confident decision. Checkatrade offers a directory trades and services that have been vetted to high standards. View our excellent double glazing reviews here. Choose us with confidence. We are a registered member of Certass – a competent persons scheme which covers the installation of replacement windows, doors and associated glazing products in domestic properties. Licensed by the Department for Communities & Local Government, Certass financially and technically assess each member to ensure they meet current UK building regulations. Once an installation is complete, a compliance certificate is also issued to the home owner which is required by law.